Today I bring you a healthy grocery list that you can carry at all times on your phone and so not forget any ingredient you need. You can also share the note with the other members of the family so that anyone can stop by the store and buy what is missing to prepare the menu of the day. We’ve already talked about how you can easily manage your recipes with Evernote in a previous post, and I think this list will be useful and a good starting point to organize and build your grocery list. Having a well-planned grocery list gets you in and out of the store quickly and helps you stick to your healthy eating plan. Time to stop tossing bad food and money in the trash! This grocery list includes everything your family needs to eat healthy and delicious for one week. The healthy grocery list includes: Produce, proteins, grains, milk & dairy, legumes, beverages, and pantry staples. Some people like to arrange the categories in their list around the order in which foods are found in the store. Include categories for non-food items that you purchase at the grocery store such as health and beauty aids and household supplies. “Play” with your master list for at least a month to find what works best for you. Remember that time spent developing a list is usually less than time spent returning to the store for a forgotten item. Having a list may also contribute to your overall meal quality. I have added a checkbox next to each product, so all you have to do is check or uncheck the box to verify if you have it in the pantry or you need to buy it. You will never have to write or reprint again the grocery list, and then leave it forgotten at home. This list will always be on your phone, updated and synchronized with the other members of the family. Just click on the image below to get the note and make your life much simpler. Today I´d like to share some tips to save you time and make your life much easier, explaining how to meal planning and build your grocery list with Evernote. This simple list means 480 recipes, without a single paper, which proves that Evernote is a great tool to keep and search all the recipes you need. All you have to do is create a specific notebook for your recipes and save them all in there. But you can (and should) do more than just save recipes. You can plan your meals and your grocery list with just a few clicks. First, when you´re struggling thinking about what are you going to eat next week, there is nothing easier than scroll down your recipes notebook and chose from a wide range of recipes. Then, all you need is a note called “Meal plan“, for instance. Let´s plan your next week´s dinners. We could plan all your meals, but this post is just to give you an idea of how easy and useful is Evernote for your daily life. You check your recipes and chose what you´d like to have for dinner next week. Right-click on the recipe and select “copy internal link” (Shortcut: Ctrl + Alt + L). Then paste this link on your “Meal Plan” note (Shorcut: Ctrl + V). The table, of course, is totally optional. For new Evernote users who want to know more about creating and customize tables, please read this. Once we have our internal links on our Meal Plan note, we can easily check the instructions, losing no time searching the recipe. To help us build our grocery list, all we have to do is copy (Shorcut: Ctrl +C) the ingredients of each recipe and paste (Ctrl + V) them right after our meal plan. The most common ingredients, like salt, olive oil, onion, etc. What you already have in your kitchen. This way you won´t buy what you already have available or buy the same product twice. 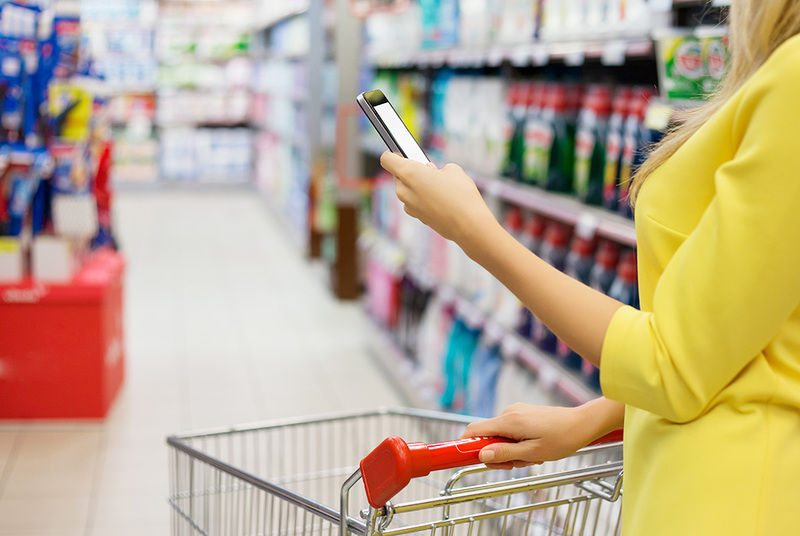 As we are used to taking our phones everywhere we go, you´ll have your grocery list available anytime, and you won´t ever need a paper to remind you what to need to buy at the store.